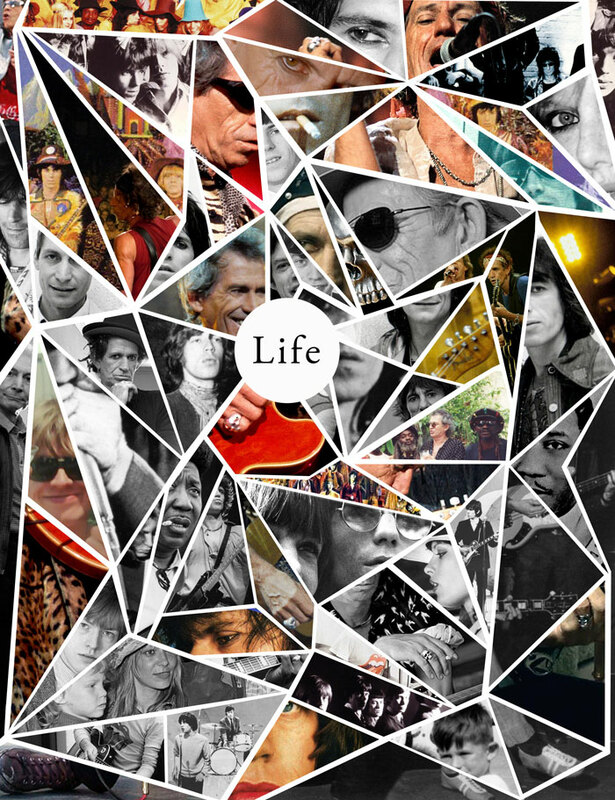 It took me almost a year to read Life, Keith Richards’ tell-all autobiography, which is not even that long if you realize this book is worth more than 5 decades of incredibly detailed anecdotes of a life dedicated to rock & roll. Since I finished reading the book I’ve been thinking of ways to represent Life and here’s the result. Life as a series of interconnected events, friends, love, music, memories, actions and reactions, family, growth, pain, death, all linked like a spider web. Life as pieces of a broken mirror reflecting a mythical personality that is demystified through a narrative that is personal, sincere and even vulnerable. How fascinating it is to see life through someone else’s eyes, to participate for a moment of their dreams and eavesdrop to their most obscure thoughts.